Range of in-line rectangular duct fan, specially designed for the extraction of potentially hazardous and explosive gases. 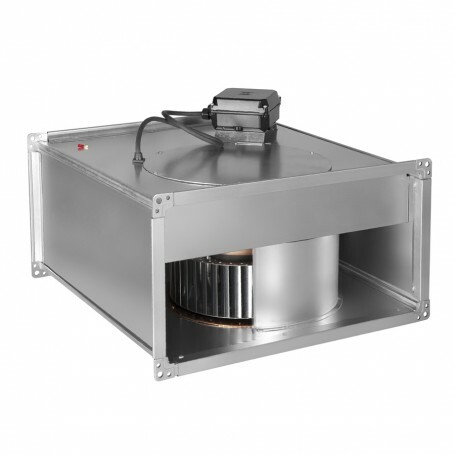 Manufactured from galvanised steel sheet and provided with an inspection cover that can be removed to access the motor/ impeller assembly without having to remove the complete fan casing from the ducting. All model incorporate directdrive forward curved centrifugal impeller. Working temperature from -20 to 55 ﾺC. Speed controller by auto-transformer (RMT*). 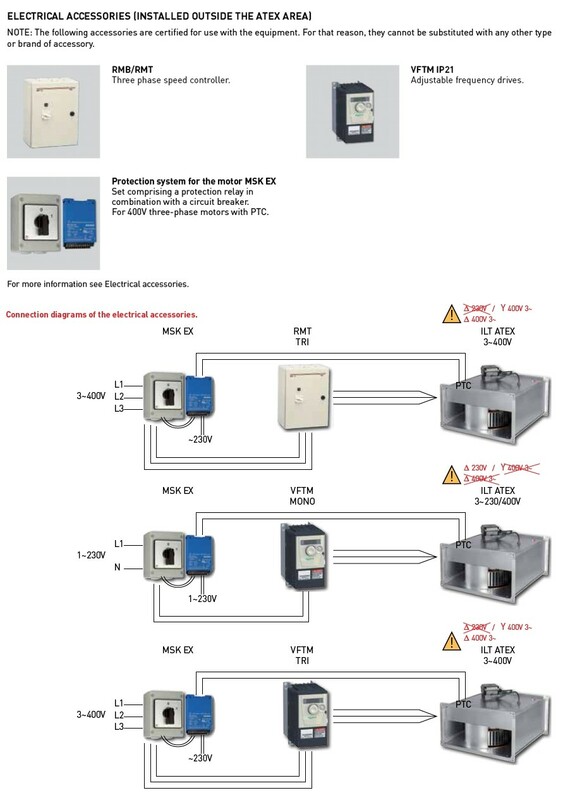 Speed controllable by inverter (VFTM*). * These accessories are certified for use with the equipment. For that reason, they cannot be substituted with any other type or brand of accessory. 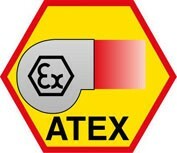 Explosion proof versions in accordance to ATEX Directive for three phase models. 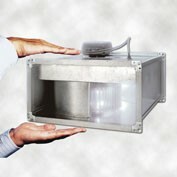 For ambient working temperatures from -20ﾺC to +55ﾺC. II2G Exe II T3 Gb. Standard rectangular flanges to ease the Installation. To ease installation and maintenance.